Over the last fifty years the events of 18th October 1966 have acquired legendary status amongst conservative evangelicals in Wales. I was born nearly nine years after those events, but as a young Christian in North Wales, Martyn Lloyd-Jones and his call for gospel unity still shaped my evangelical identity – the churches I knew had been fundamentally influenced by his call for evangelical unity, and the ministers I respected were shaped by that event and the repercussions that followed. As a young man, it was all too much for me. Like most young Christians I wanted to look forward, not back. I cared about the future, not the past. These events, which even then were dim and distant to me, seemed to have no relevance to mission in the 21st century. That was naïve. So whilst I still care about the future, I’ve learned that if we don’t understand what has shaped us, then we will both repeat the mistakes of an earlier generation and fail to learn from their successes. So now is a good time to reflect on those events in the Methodist Central Hall in London, and to see what we can learn. I need to emphasise this is a personal reflection from someone who wasn’t there. Other people will have different perspectives; some may have contradictory ones. So let’s begin with a quick re-cap for those who, like me, are too young to remember. In the years leading up to 1966, and particularly after the second world war, there was an increasing desire amongst the major Christian denominations for great ecumenism, with the World Council of Churches, formed in 1948 by Protestant churches, as the most visible sign. The Second Vatican Council (1962-1965) was also making ecumenical efforts, moderating its stance in a number of areas that had caused friction with Protestants. Major denominations were considering merging, and it was thought possible that some kind of super-denomination could result, perhaps even combining Protestants with Roman Catholics. By 1972 the English Presbyterians had merged with the Congregationalists, and the Methodist Church came within a whisker of merging with the Church of England, losing a crucial motion in the House of Clergy by just seven votes. At the same time, there was increasing scepticism within the denominations, and liberalism seemed to have taken hold. 1963 saw the publication of Bishop John Robinson’s Honest to God, which denied, or at least questioned, many of the essentials of the Christian faith. 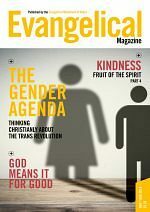 In this heady ecumenical and increasingly liberal atmosphere, Lloyd-Jones addressed the National Assembly of Evangelicals and boldly stated that ‘everybody seems to be talking about church unity except evangelicals’. Instead evangelicals were ‘divided among ourselves’. He called the situation both ‘tragic’ and ‘pathetic’. It was strong stuff, but not unexpected – he’d been asked to repeat in public what he’d already said in private to those who organised the Assembly. For Lloyd-Jones it was intolerable that non-evangelicals (who cared little about truth) were running so enthusiastically towards unity, whilst evangelicals remained silent and scattered. He called evangelicals the true church, united by faith in the essential doctrines and experience of the Spirit’s life-changing power. In his opinion, they were ‘living in one of the great turning points of history’, which created a ‘heaven-sent opportunity for doing something new’, by which he seemed to mean coming together as ‘a fellowship, or association, of evangelical churches’. The chairman that night was John Stott, who sensed the force of Lloyd-Jones passionate arguments might have more impact than Stott desired. Against protocol, he used his position to repudiate Lloyd-Jones’ argument, saying that history and Scripture were against him, and hoping that no-one would ‘act precipitately’. The inevitable result was a polarisation of those present. In the year that followed, Evangelical Anglicans met at a congress of their own in Keele, with Stott an influential figure. The congress re-committed themselves to the future of the Church of England, and called for more co-operation within the Church, even where theological differences existed. On the other hand, Lloyd-Jones threw his weight behind the British Evangelical Council (now Affinity). In Wales (and to a lesser extent in England), several ministers and theological students resigned their posts, and more than a dozen churches seceded from their denominations. The British evangelical landscape was fundamentally altered. Arguments would continue about whether it had changed for the better or for the worse, but everyone was agreed on one thing at least — it shouldn’t have happened like this. Although I’d heard a lot about Lloyd-Jones and 1966 when I was younger, no-one really talked about the pain of those times. I’d heard a few stories about ministers losing their manses, and churches having to either leave buildings they’d always occupied, or buy their own building back from the denomination. 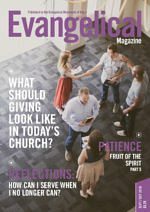 But that was always in the context of God’s gracious provision – I never sensed any bitterness towards the denominations or leadership. But I hadn’t really understood the emotional and spiritual attachment that many people felt towards the denomination they had left. This seems to have been particularly true on the Presbyterian side, where people often felt a deep connection to the Calvinistic Methodism of the past, and sometimes a strong relationship to the local Presbytery. Indeed, several former Presbyterian ministers have told me that they never left the denomination they loved – as they saw it, the denomination left them as it abandoned the gospel. My own church marked its 40th anniversary as an independent church recently. I contacted those who were in leadership at the time of secession, inviting them to join us for some anniversary services. One comment sticks in my mind: ‘This is not something we should be celebrating. It was extremely painful for us.’ Remember, that was 40 years later. 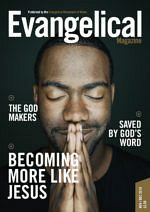 At the same time, evangelicals who remained within the denominations also experienced significant pain. This is perhaps the saddest part of the story. Friendships that had survived for decades faltered when colleagues took different sides. The most well-known casualty was Lloyd-Jones’ friendship with Jim Packer, but there were many others. 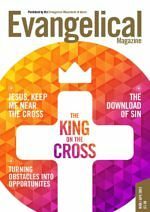 Things sometimes got very heated, accusations of disloyalty or compromise were sometimes made, both face-to-face and in letters and articles in the Christian press. Feelings ran high – a 1970 article in this very publication spoke of seceders as being ‘betrayed and abandoned’ by their evangelical brethren. But it wasn’t just the seceders who felt abandoned. As they left, the evangelical influence within the denominations was almost fatally weakened. For those who remained in, any chance of evangelical reform, was now a distant dream. The events of 1966 have therefore left a deep legacy. 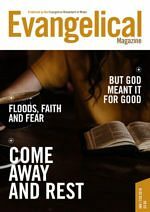 On the one hand is a network of independent, conservative evangelical churches, who have generally held their own in an increasingly secular country, and in some cases have grown or planted new congregations of their own. Many secessionist congregations – including my own – still feel a deep sense of gratitude to those who boldly stood for the truth in the face of error. Yet on the other hand, hundreds of denominational churches have closed, and many evangelical Presbyterian churches are very weak. 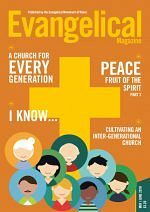 Would there have been a stronger evangelical witness in Wales if evangelicals had stayed within their denominations? Perhaps we will never know. But what we do know is that the pain and division of secession still runs deep in many places. And if there was ever a right time to heal those wounds, surely that time is now.